With FPV electronics getting smaller, so too are the antenna connections. The IPEX U.FL connector is beginning to be favoured over the traditional SMA by manufactures for its tiny size and low weight. We know lots of people still have SMA antennas, so we’ve created this FPV antenna extension cable to convert from IPEX to SMA. 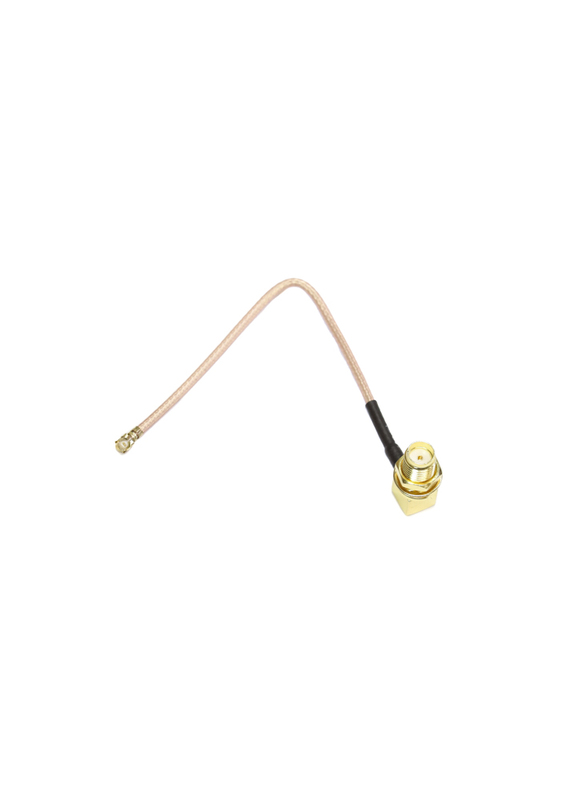 The cable is flexible and comes with right angles on both ends and a through-hole mount on the SMA female connector.